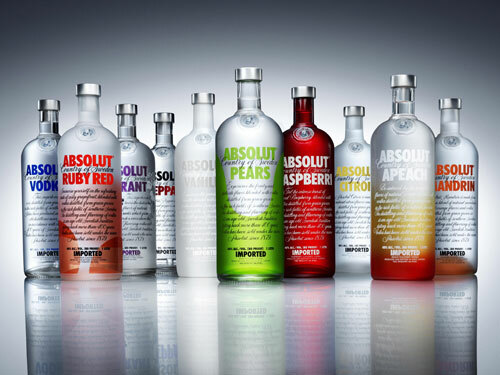 Absolut Vodka is a French-owned brand of vodka, produced near Åhus, Scania, in southern Sweden. Since March 2008, the company has been owned by the French firm Pernod Ricard, having been sold by V&S Group, which is owned by the Swedish government. Absolut is the third largest brand of alcoholic spirits in the world after Bacardi and Smirnoff, and is sold in 126 countries. Absolut Greensaver (limited edition, launched in 2008 - Greece) Absolut LEVEL, launched in 2004, is a super-premium vodka created and sold by but marketed separately from Absolut. Absolut NEW ORLEANS (Mango and Black Pepper flavour launched in August 2007). This is a special edition in an annual city themed series. 100% of the profits go toward various Gulf Coast charities. Absolut Los Angeles to Green Way LA. Absolut BERRI AÇAÍ (blend of açaí, blueberry and pomegranate - launched February 2010).